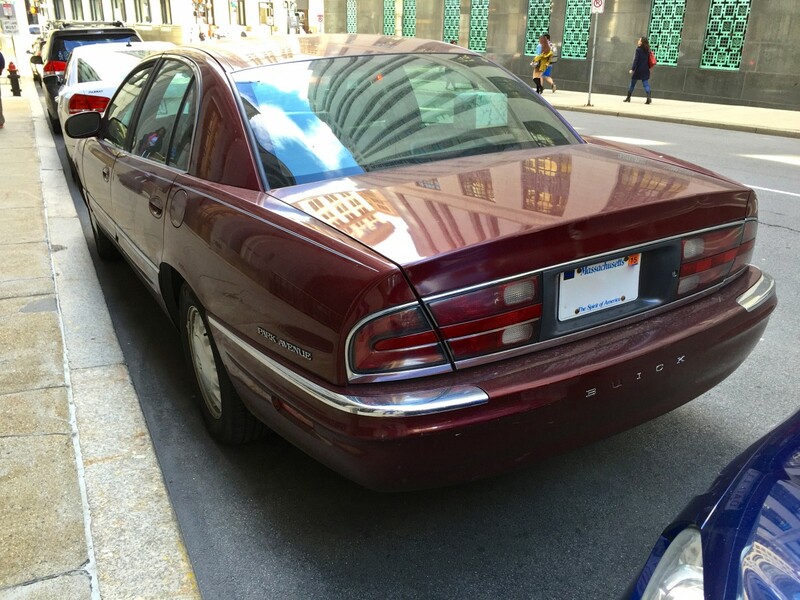 Curbside Classic: 1997 Buick Park Avenue – Better The Second Time Around? When looking at this car, I’m reminded of the theme song from the long-forgotten ’90s sitcom, Step by Step. Basically a slightly less sugarcoated ’90s update of the Brady Bunch premise staring Suzanne Somers and Patrick Duffy, the last line from the show’s catchy theme song was “We’ll make it better, the second time around”. Now as often as that line applies to the automotive industry, in reality it’s not always the truth. 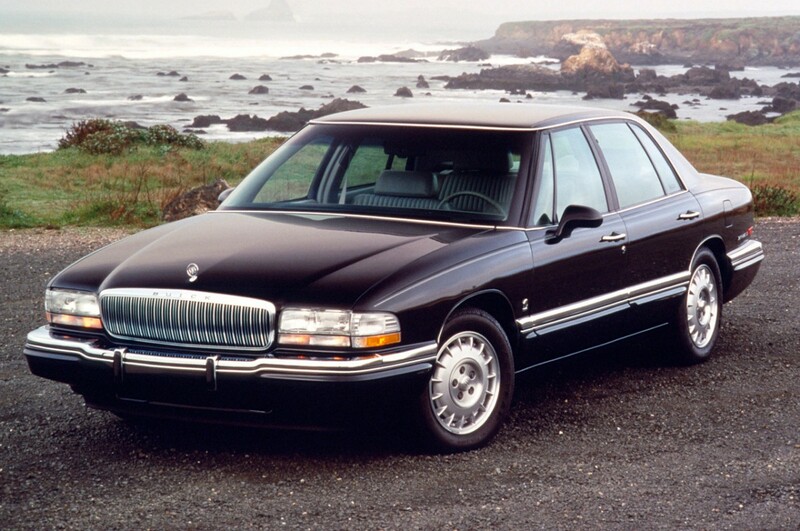 One of those cars that comes to mind is the second generation Buick Park Avenue. 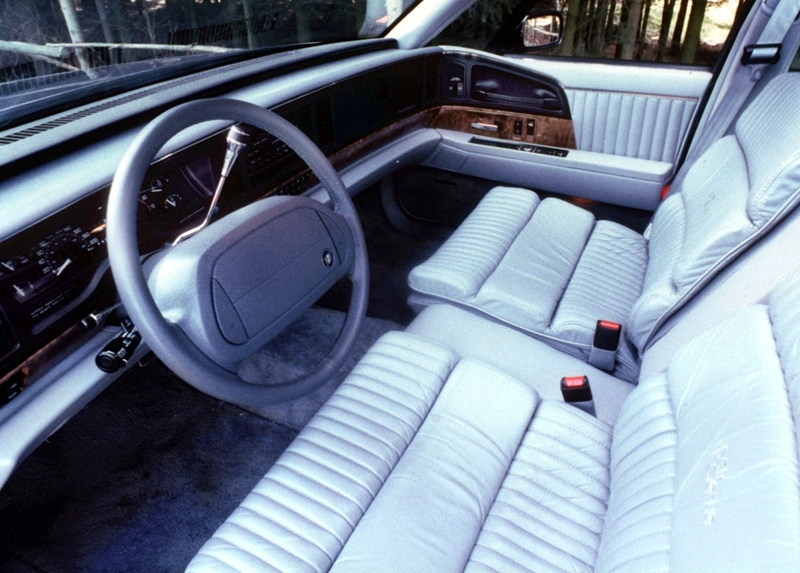 After sixteen years as the top trim level of Buick’s flagship Electra (1985-86 model pictured), in 1991 the Park Avenue became a full-fledged model of its own, effectively replacing the former altogether. And what a breath of fresh air it was. Heavily borrowing its lines from the 1989 Park Avenue Essence concept car, the Park Avenue ditched the outdated straight edged and sharp lined “sheer look” for gracefully flowing curves and soft, elegant angles. Ten extra inches of length did wonders for its balanced proportions and silhouette. The look was exciting enough to draw considerable praise, yet conservative enough to still please the average Buick buyer. With the supercharged version of Buick’s rock solid 3800-Series V6 available, the Park Avenue Ultra was also a capable performer as far as large American sedans went. Additionally, interior quality and appearance were good, and unlike its mechanically related Oldsmobile Ninety-Eight sibling, exterior trim didn’t fall off after a few years. After six years with relatively few changes, the Park Avenue received its first and only refresh. 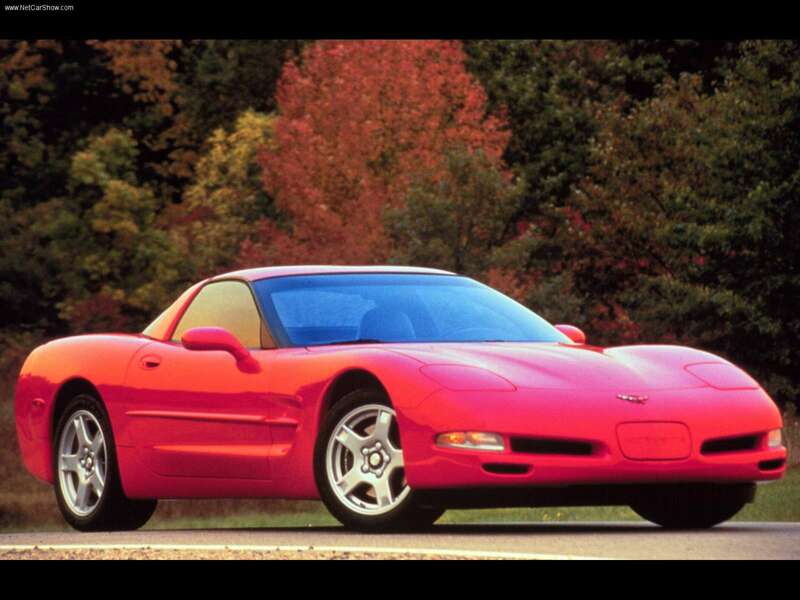 While the 1997 Park Avenue was undoubtedly new, was it a better car than the original? On the positive side, Buick’s now largest vehicle continued to offer the copious amounts of room, comfort, and premium features buyers came to expect. Space was actually up, thanks to a three-inch longer wheelbase, and while seats offered more ergonomic support, they were still living room-chair cushy. 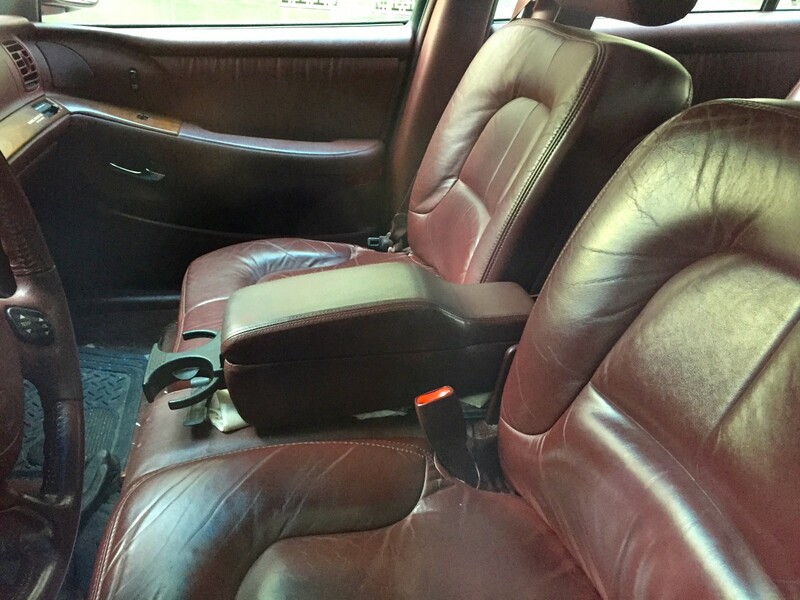 The 1997 Park Avenue was also the first vehicle to feature GM’s odd seat-mounted shoulder belts that the automaker tried out for a few years before giving up on. Moving to the Aurora and Riviera’s G-platform provided the new Park Avenue’s body with greater structural rigidity, and lighter-weight aluminum was used for the suspension and hood. Power was also up on both versions of the 3800 Series II engines. The base Park Avenue’s naturally aspirated V6 now made 205 horsepower and 230 lb.-ft. of torque and the Ultra’s supercharged V6 was up to 240 horsepower and 280 lb.-ft. of torque. But whatever incremental improvements the 1997 Park Avenue may have presented seemed to be offset by any lack of development in the styling department. In what could only be described as evolutionary at best, the second generation Park Avenue retained the overall shape and design of the first, only adding slightly more curvature to the roof-line and hood. 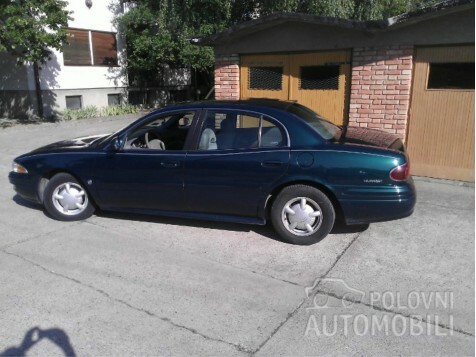 An evolutionary approach is perfectly acceptable for a car like the Park Avenue, but overly numbing and generic, the 1997 Park Avenue was already looking quite outdated upon arrival, and failed to enhance the styling of the original in any way. In fact, the handsome looks of its predecessor were largely diminished by its new face, where over-sized clear-lens headlights and a rounder waterfall grille seemed to emulate a goofy grin. This look was only enhanced by the Ultra’s updated grille in 2003. Maybe it was supposed to be some sort of tribute to Buick’s odd faces of the past? Going beyond the front revealed rather cheap-looking plasticy lower body cladding that looked out of place on a car of the Park Avenue’s stature. More bulbous sheet metal and bumpers tended to give the car a fattened, out of shape appearance when compared to the original. Things were a little better out back, where the very blunt, upright trunk was retained. Taillight design was also carryover, although they now exhibited an elegant “jeweled” look. Moving inside, things were equally unexciting. 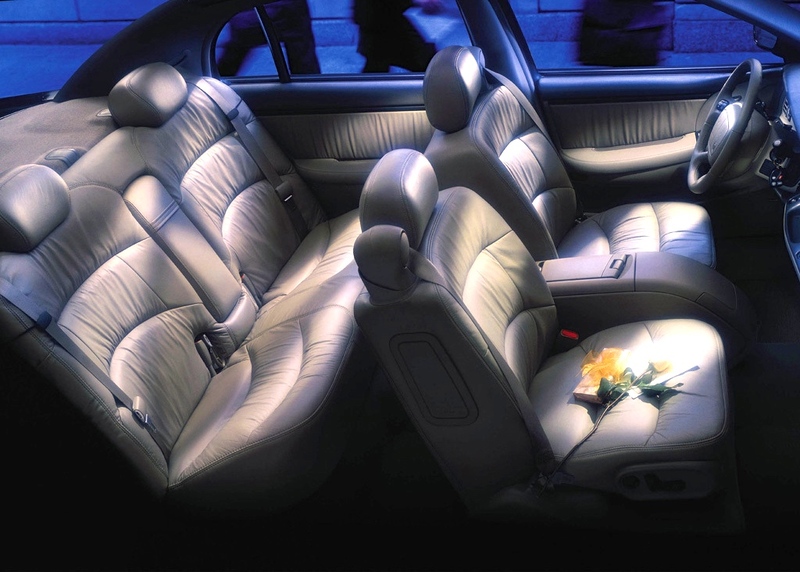 Borrowing much of the ’95 Riviera’s hard surfaces and overall sterility, the interior was a parsimonious plastic palace that lacked the premium and stately look of its predecessor. Ultras did add real wood trim, though it didn’t appear that way to the untrained eye. Objectively speaking however, it’s likely most buyers weren’t as concerned with instrument panel fit and finish, as they were that the seats were comfy, the cabin was quiet, and the stereo buttons were big. In these areas, the Park Avenue delivered with gusto. You may notice that I’ve blurred out the license plate number on this car, something I normally don’t bother to do. Despite several years at this now, I still do tend to get a uneasy photographing cars when there are a lot of people around, though I rarely ever get any trouble. This car was parked around the corner from my office, and I shot a few pictures on my way to get lunch, and then a few more on my way back. As I was taking a few more the second time, a woman who must have seen me before came up to me and rather bitchily said, “So you’re the weirdo who’s been taking pictures of that car!”. Without even a pause I replied, “My grandfather used to own one exactly like it and I wanted to show him some pictures”. Obviously having someplace super important to be, Madame Judgmental kept on walking without even turning a head to acknowledge my response to her rude name calling. It honestly didn’t even phase me as much as when way friendlier people have approached me and asked what I was doing, but it nonetheless left an uncomfortable feeling with me. This car also had vanity plates, so just to put my own mind at ease I’ve blurred them out. Of course as many of you know, my grandfather the Oldsmobile man never owned a Buick Park Avenue. He did actually drive one for a week circa-2000 as a loaner, and I remember him being very in love with it and sad when he had to give it back. Had he outlived Oldsmobile’s demise, I’m fairly certain that he would’ve have traded his ’97 Eighty-Eight in for some large Buick sedan. My great-aunt Mary owned a Park Avenue of this generation however, trading it in for one of the final Cadillac DeVilles back in 2005, a car she drives to this day. Park Avenue sales remained steady for the first three years of this generation, but beginning with the year 2000, began falling off at a rapid rate. Part of the problem was the LeSabre. 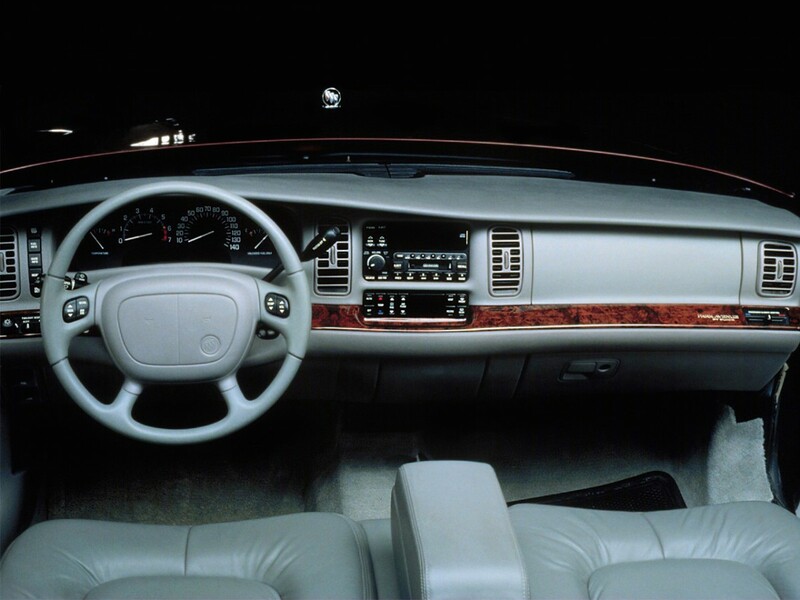 Nearly the same size, with the same powertrain as non-Ultra Park Avenues, and an interior that really wasn’t much different in appearance or levels of luxury, the LeSabre undercut the Park Avenue by anywhere from $6,000-$10,000 depending on year and model. Of course, the Park Avenue was easily better looking than the frumpier LeSabre, and it could be had with supercharged V6 power. But by the time one moved up to the supercharged Park Avenue Ultra, they were dangerously close to Cadillac DeVille territory. Larger, more luxurious, and with standard V8 power, the more prestigious Cadillac DeVille began at only several thousand dollars more than the Park Avenue Ultra, in some years as little as $1,140. 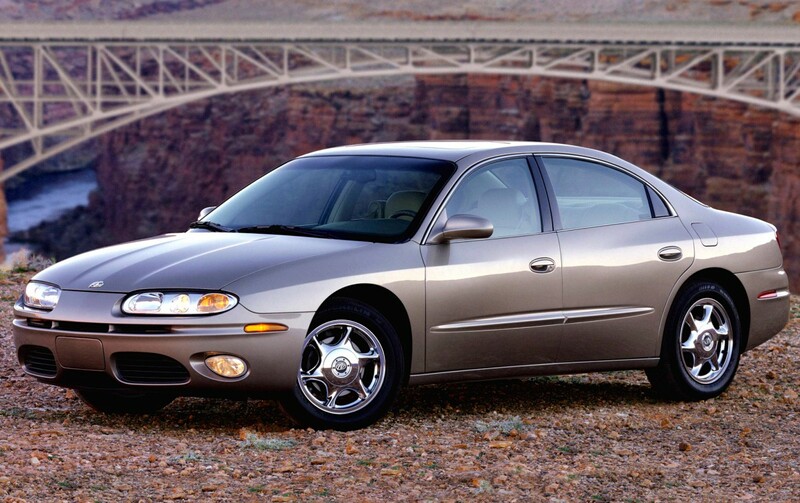 Also occupying this price field was the Oldsmobile Aurora. Although more of a sports sedan with better driving dynamics, firmer suspension, and bucket seats, even the slightly smaller second generation was arguably a much more attractive design with a higher-quality interior. With more powerful V6 and V8 engines, the Aurora also boasted a greater list of tech options including an in-dash navigation system. 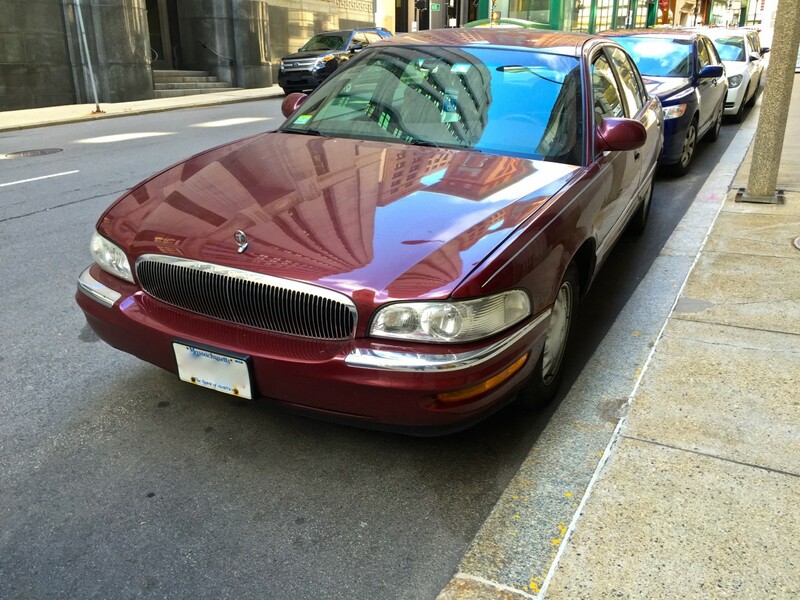 That being said, there still was a definite niche for the Buick Park Avenue in GM’s full-size sedan lineup, and the Park Avenue certainly delivered on its promises as a large and comfortable, premium sedan. By no means was it sporty, and thankfully it didn’t claim to be so. Unfortunately, the demand for cars of this genre was rapidly dwindling. Aging boomers who began buying Accords and Camrys in the 1980s continued to buy Accords and Camrys (which were conveniently growing in size and comfort) even in their advancing years. They days of the big American comfy cruiser as the automatic choice of vehicle for retired life were over. 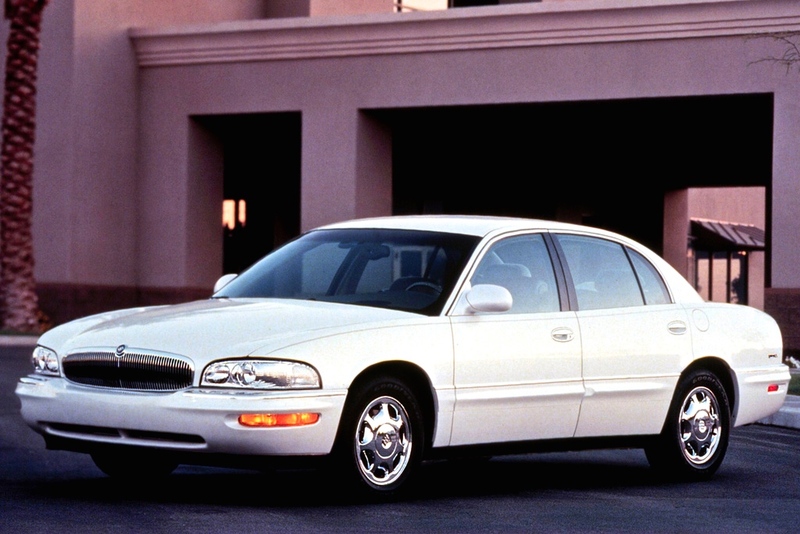 These traditional virtues were reflected in all Buicks of the late-1990s and early-2000s, but for Buick’s flagship, a better effort and continued investment should have been put forth. It may have been adequate to please the typical Buick senior citizen buyer, but despite advertisements featuring their grandchildren, the Park Avenue wasn’t bringing in any younger (and by “younger” I mean middle-aged) buyers to Buick showrooms. And by catering primarily to the Bengay-applying, walker-using, Life Alert-wearing crowd, Buick was faced with an ever diminishing clientele. 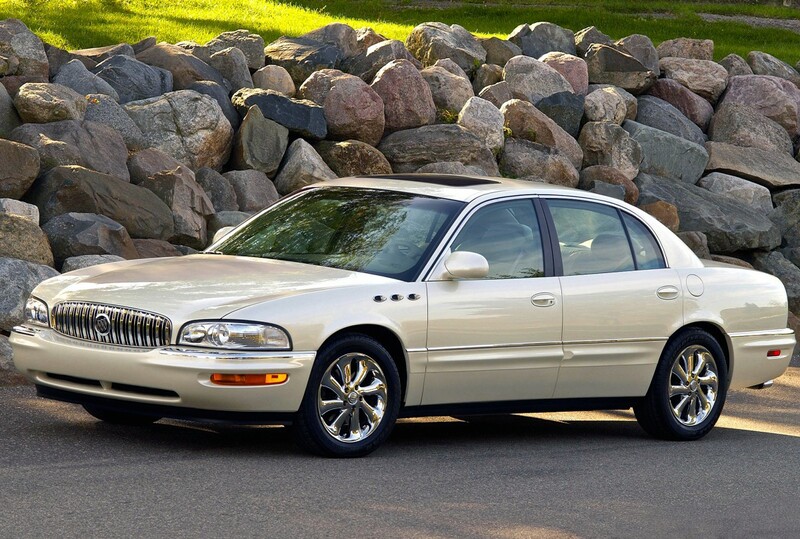 With the exception of the lackluster Rendezvous CUV and Rainier SUV, and a equally apathetic 2000 LeSabre, the entire Buick brand was largely frozen in time from the late-1990s to mid-2000s. If the Park Avenue already looked dated in 1997, it was archaic by 2005 when it quietly passed after a lengthy nine years of suffering from neglect. By that point, sales had gone from over 60,000 in 1997 to just a mere 9,000 units in 2005. Both the Park Avenue and LeSabre would be succeeded by the 2006-2011 Lucurne. While it was not perfect, and received much of the same hate from critics as the Park Avenue, the Lucerne successfully retained those big Buick hallmarks of size, comfort, and elegance, while looking a hell of a lot better and relevant. The entire cooperation of GM in the late ’90s and early ’00s suffered the same. GM had the best design for nearly each division in the early to mid ’90s but it just stayed the same for the following decade. Personal feeling: from the driving experience of all those ’92-’11 full size Buicks, they are perfect dependable and comfortable cars with good luxury and economy, they are just too boring to drive all year round. I was waiting for the day someone did a full CC on this car! I actually owned one for a couple years, a pristine one-owner 2004 model that only had 62,000 miles when I bought it. Probably the youngest person ever to actually buy one on my own accord from a dealership, in non-beater condition and price (it was the first car I actually got a loan for – a smaller loan, but still). I remember having a very surprised first impression of it in terms of the body structure, quietness, and ride quality. It was very silent and smooth but didn’t have too much of that uncontrolled “floaty” feel like Town Cars or older Buicks. The body was very rigid and rattle-free for what I usually expect of GM sedans, almost as good as a Lexus ES (which I’ve also driven multiple examples of). It was a perfect balance between “old school luxo-crusier” and “modern sedan”. I’ve always had a thing for cushy luxury sedans and I’ve driven most of them. The Ford Panther cars are too far to the old-fashioned side, while most FWD luxury sedans sacrifice ride quality for handling. The Park Avenue found that hard to reach sweet spot. Now, the bad – terrible, horrible cheap plastic interior materials that would have been medicore in an Impala, let alone a top-line Buick. There was no mistaking it for a Lexus here, hell, Camry LEs are nicer inside than a base Park Avenue. The brittle plastic bits all broke within a year (coin tray, cup holder, 12V charger port, etc) It also seemed unapologetically designed for old people, which I just found amusing but probably hurt sales when new. The ridiculously large print radio, the mostly useless bench seat (in terms of actually seating 6 people), the styling and layout of everything in general. Even though the car was pristine, people always thought it was a ’90s car because it didn’t look like anything built in 2004. I didn’t mind, because it was comfy, cheap, and reliable, but I can see why sales went downhill after 2000. Like most GM sedans, it was much a better used car than it probably was new. According to the registration it retailed for $33,000 new – hell no! As an aside – those seatbelts were actually really neat. They were power adjustable and super easy to find because they never got caught in the door or failed to retract like on “normal” cars. Gimmicy, but in a functional way. I love this car (as well as many large GM sedans of the 90s), however I don’t particularly like the seat-mounted seatbelts. I find the belt retractors next to the headrests to be bulky-looking, especially for rear-seat passengers who have to stare right at them. But that said, it wouldn’t stop me from buying one of these cars. I think the Park Avenues had a combination of styling and ride/comfort characteristics that made them a great overall car. I do agree with the author that the earlier versions were better looking, before the tacked-on design embellishments appeared, but still it l think it’s a great car. One thing that always jumps out at me when I get into a Buick of this period is the size of the radio controls. The buttons, numbers, text and clock are all very large, presumably to make it easier for older folks to use, but for some reason it always catches my attention. Those radio and AC buttons are direct carry overs from the previous model, and they are shared with Century/Regal too. It’s large and easy to use, but it looks dated indeed. A friend of mine has a 97 Park Ave, and another friend had a 97 Regal. While the exterior held up well on both, as Max said, the interiors disintigrated in spectacular fashion within very short order. Really sad, as they’re nicely styled. As an aside, my friend’s 97 Park is the only one I’ve ever seen of this generation with a cloth interior. Anyone else ever seen one? Velour-like cloth was initially standard on base Park Avenues of this generation, but I think it was dropped within a few years, explaining for its rarity. Is it true that a former Jaguar employee designed the 1991 Park Avenue (hence the XJ-resemblance) and that the model name referred to his previous work address ? The work address sounds odd, because Buick had used “Park Avenue” for a long time. I’ve read it in an ad a few years ago, but I couldn’t find any information that confirmed it. I agree, but I bet to most people’s eyes, they couldn’t tell the difference between the two on a bet. That’s the thing about car fanatics – we can pick out the most minute detail between different cars that ‘normal’ people can’t see. I believe it’s something you’re born with. I’ve been that way since I was about four or five years old. I’m ashamed to admit it probably took me a couple of years to figure out this generation of Park Avenue wasn’t just a restyle of the previous car. Evolutionary styling changes, indeed. I do like its looks, though not as much as the previous generation when it was new (when I was in high school). That car seemed shockingly voluptuous and gorgeous – like the guys in Buick HQ in Flint had just woken up. Regarding that woman who called you a weirdo, some people definitely do trip when they see me photographing a car. It’s a free flippin’ country, and it’s not like you were looking to steal it, like it was a hot property or something. I try to give such instances the what-evs and keep on doing what I’m doing. I wouldn’t think too much about it. Don’t feel bad Joseph, neither did I.
I liked these okay when they came out. As time went by and big cars disappeared, they looked better given the dearth of competition, though I agree the design itself got less fresh. I did like when they finally brought back the ventiports and a V8 option at the end. I considered one of these to succeed my Cadillac Brougham back in 2010. I had pretty much decided they weren’t big enough. Then it became academic because I ended up moving to the city and not needing or wanting a car right away. I ended up with a Buick anyway a few years later. A friend owned a dark green one in the 90s, and it was a very nice car. I never had an opportunity to ride in it, though, but sure wanted to. I thought the design was excellent – GM was finally doing away with its “half-way down” rear window glass mentality, and one didn’t feel so claustrophobic in the back seats of its sedans. I was still driving Chrysler products in those years, and was pretty cheap, so a Buick was and still is out of the question for me. In the future? Who knows? That’s right off Post Office Square in downtown Boston. Plenty of banks and government offices, staffed by plenty of old school Bostonians, and that’s not meant as a compliment…nor an insult, exactly, just a recognition of a kind of entitled bossiness. Like you’re in her house taking pictures of her stuff, not just a stranger and a stranger’s car. Nicely said. I couldn’t agree more. And good eye; it is indeed right off Post Office Square, on Water Street. I work around the corner at 53 State (Exchange Place). Convenient to Boston Kebab House. 🙂 I worked on Devonshire for a while, then on High behind the old Ma Bell building. Really a very pleasant neighborhood to come to every day, though I don’t miss using the Red Line to get there. Yeah, it’s a nice walk over from South Station. Thankfully I take the Commuter Rail. The Red Line is the cesspool of humanity. I try to avoid it at all costs. I’ve heard of Boston Kebab House but have yet to try it. I’ll have to go for lunch some day. I agree with Max P. above that these are great used car values and probably served the vast bulk of their owners quite well. I also want to thank Brendan for the great write up and for going the extra mile to get pictures. I still find them somewhat depressing. I don’t agree with Paul or Buick itself apparently that rebadged Opels were the answer to GM’s near luxury decline. I wonder what happened at GM though. Does anyone think for a moment that a junior designer on this platform actually drove this car or had any desire to after his next raise. His equivalent for previous generations did. His equivalent at Lexus or BMW still did, but not for much longer. He was still a well paid car designer at the biggest car company in the world, and if you asked him about the Park Avenue he could probably tell you what the benchmarks were and that the old timers will like it. That this was thought to be enough is baffling to me. I don’t really think it was a cost issue. GM would have had Walmart like pricing power over suppliers and I think could have set the quality level they wanted. 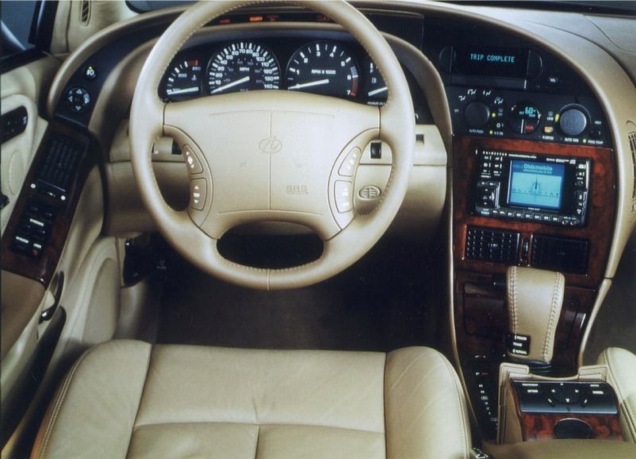 At this point everything seemed to be, Lexus did a nice interior on the LS400, so copy that but make it cheaper or the E39 528 handles nicely, so copy that but with parts from our part bin. What happened to imagining a better future, and innovating to get there. Near luxury cars of whatever label earn the extra dollars they command by adding to the experience over a Chevy or Toyota. Does the Park Avenue do that, the ES300 did then at least. It may be that all the car makers from the inside seem like the Titanic so people just behave accordingly. I don’t know whether to say Bill Mitchel where are you, or Elon Musk, fix this. The 1997 Park Ave training materials featured Buick styling studio head Bill Porter describing the evolution and theory behind the new design. 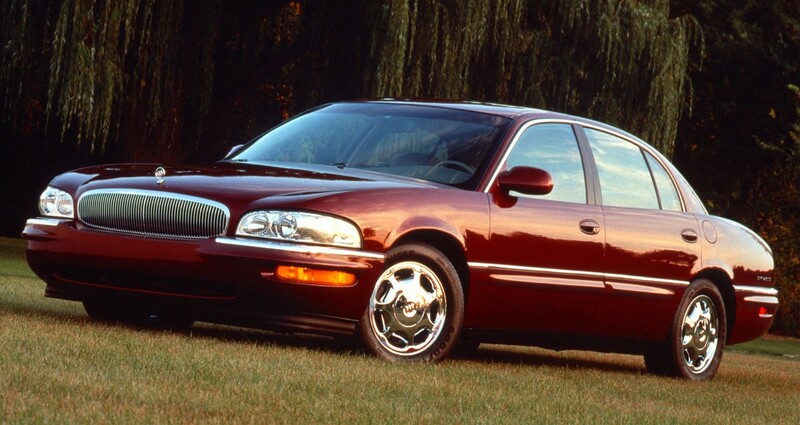 The 1997 styling goals were to continue the theme started in 1991 while integrating themes from the Roadmaster. Bill Porter’s styling abilities brought us beautiful GTO’s, the second generation Firebird etc…. The final Park Aves were VERY comfortable, VERY reliable and well built automobiles. It would be interesting to hear Mr. Porter today, from retirement, compare and contrast the design process of the second generation Firebird to that of the Park Avenue. Did the system have more constraints, or was it just a different time with different people? I am glad customers were treated well by the last American Park Avenue, but the second Firebird was a classic that sold better as time went on as people realized it and competitors dropped away. This not so much. If you can get a cheapo optioned up, these are really comfortable cars. Much more pleasant to drive than you would think and it feels unmistakeably Buick. I don’t think that’s a bad thing! My boss has a silver one with 190k still humming along strong. The only thing that’s wonky is the gas gauge, which he says he is not going to fix. The air still blows ice cold, it shifts nicely and rides along just as smooth as you please. After my dad passed away in the late 90’s, I tried to get my (then) 70 year old mother to buy one of these. I think they’re handsome cars, Buick has good reliability, and there was a dealer close to her. She would have have none of it. She bought an Avalon. That’s when I began to think, “Game Over, Detroit”. 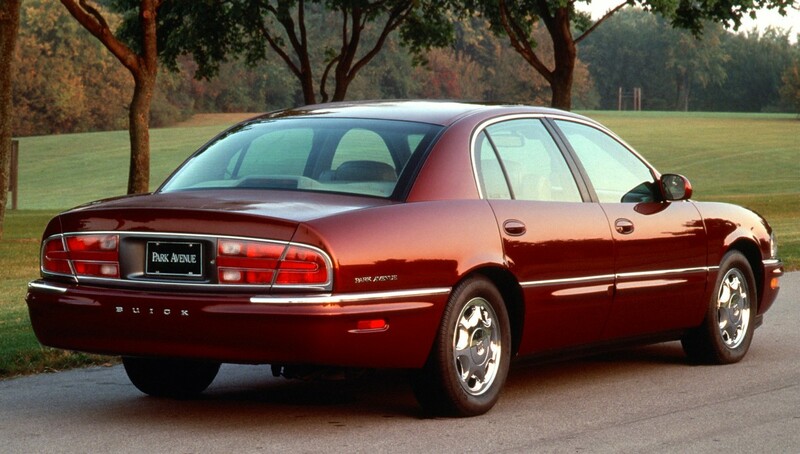 The Avalons of the late 90’s must have been inspired by the 1990 Chrysler Imperial: disproportionately stretched and VERY narrow car(Camry)…plain weird. The Avalon is widely thought of as the Japanese Buick and seems to be the defacto senior citizen mobile now that the Grand marquis and Lesabre are gone. I’m not a fan of the first and third generation Avalons, but the second and especially the current, I find appealing for a large-ish, comfy car. I actually like the current Avalon much better than the related Lexus ES. I always found the 2000-2004 Avalon’s floating gauge cluster cool. Agree. Liked the 2000-2004 Avalons a lot. The 3rd gen Avalon also has a relatively small trunk for its class. Like previous generations, its rear seat doesn’t fold down to extend the cargo area (only an armrest pass-through I think) as needed – which was a game-breaker for me. I think they’ve sacrificed that feature for the reclining rear seat. Talk about a car with outdated styling. The Avalon made the Buick’s look quite good in comparison. You are right about the Lesabre stealing sales from the PA. The Lesabre was cheaper and had just as much room and ride as the PA. For most folks, there was no reason to spend more on a Park Ave when a Lesabre would do. 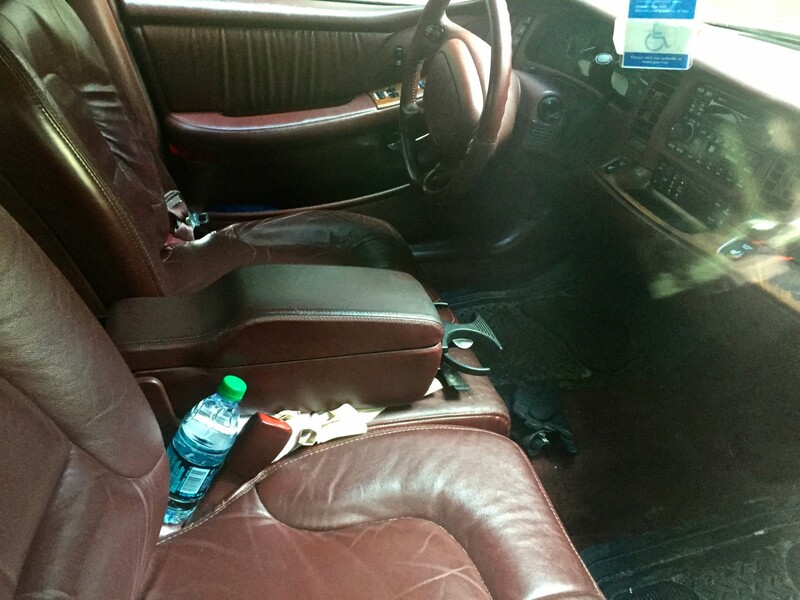 I have had both a 2005 Lesabre and a 1997 Lesabre and have driven a 97-05 and a 91-96 Park Avenue and both cars seem to drive the same and had the same ride quality. 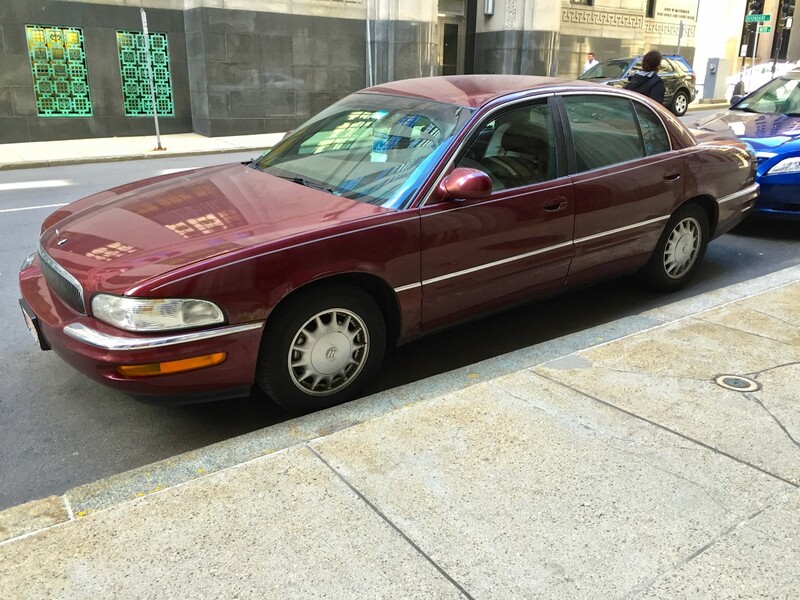 Other then the supercharger(which required premium fuel) and shinier rims there was no options that were only exclusive to the PA and that you could not get on a Lesabre Limited for cheaper. 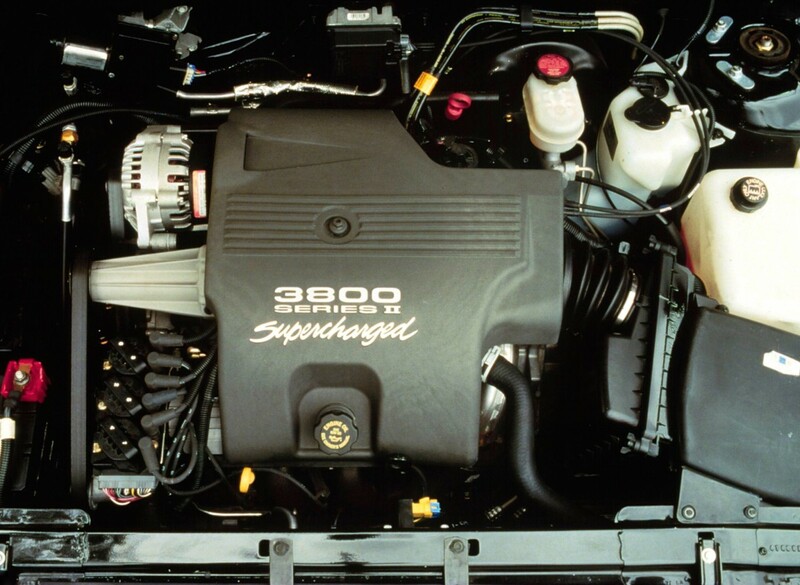 The Lesabre’s non supercharged 3800 V6 had ample grunt to move the car about in a spirited way. Coupled with the fact that the cars looked somewhat alike probably push some folks to wonder what was the point of spending extra for a Park Ave.
That said if I could get a PA Ultra in white, I would own it. I quite liked the 1991-96 version, especially the Ultra with the body-colored wheel centers. The Jaguar-esque tapered tail was a very nice touch, but with the traditional full-width tails. While the 1997 car was evolutionary, they did manage to remove or mute some of the distinctive attributes. Not bad-looking but not striking either. 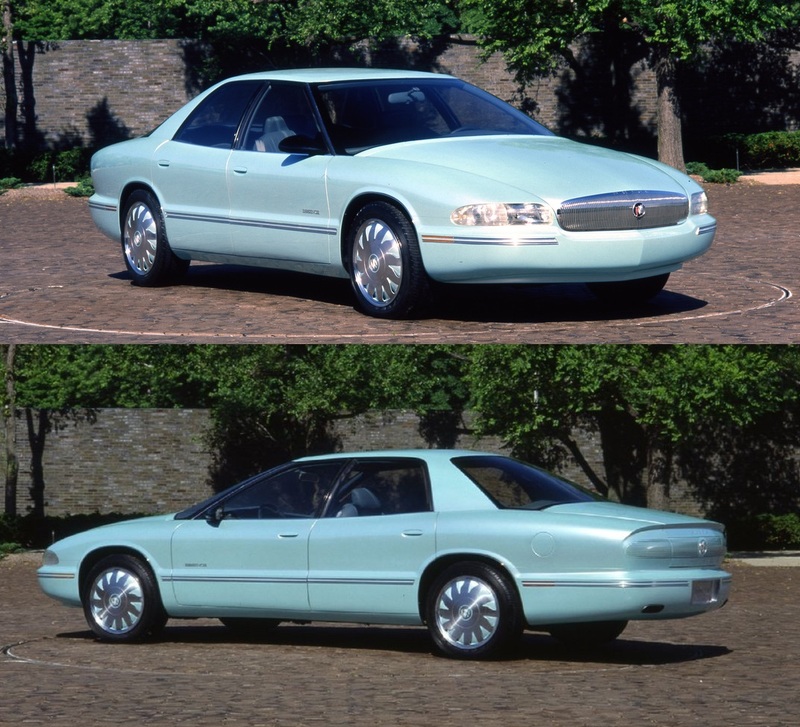 While the LeSabre looked similar, I always felt that it was the far less good-looking of the two. If it were up to me, I’d actually consider buying a used late-run Ultra as cheap transportation. The late 2nd-gen cars actually look good in dark colors, with the polished wheels and the portholes (being a Buick, they actually make sense!). However I think my wife would probably revolt–she already thinks my ’97 Crown Vic is an old man’s car so I think following it up with a Buick probably wouldn’t fly too well! Wasn’t Raymond Tusk from House of Cards driven around in one of these? The Park Avenue suits that character well. Those red leather thrones look like old money, although I’m sure the leather isn’t nearly up to the standards of an old smoking lounge club chair. I find it odd that the 1997 PA redux was considered outdated styling yet the Panthers which debuted in 1992 shouldered on with but one change that had the CV use the Marquis hind quarters and frontal area and stayed the same up to 2011 with very minor changes. If the Park Ave was outdated then the Panthers must have been prehistoric to your eyes. Most of our customers thought the 97-2005 and 00-05 PA and Le Sabre were more modern better interpretations of the full size American car. Even Consumer Guide agreed with that giving the FWD GM’s and Chrysler LH’s higher marks overall than what Ford and Lincoln were doing during the time era. On another note GM should have spent a bit more money on the interiors and drivetrain keeping these more up to date, especially in the 04-05 model years. The fact that the redesigned Lucerne still carried over essentially the same engine and trans axle but with less power and torque must have sent many modern day shoppers over to Ford and Toyota who had 5 Speeds, DOHC engines and even CVT’s. The fact that they had the very engine that should have went into the Lucerne in the lower cost LaCrosse and 5 speed trans axles in the Equinox shows how muddled and disoriented the waters were at GM at the time. Ford could get away with that with the Panthers because they were generating so much volume through police, taxi and livery fleet sales. For about the last ten years of the Panther run, any civilian sales were just incidental, kind of like in previous decades you could buy a civilian Checker if you really wanted to. I purchased an ’05 PA last October. 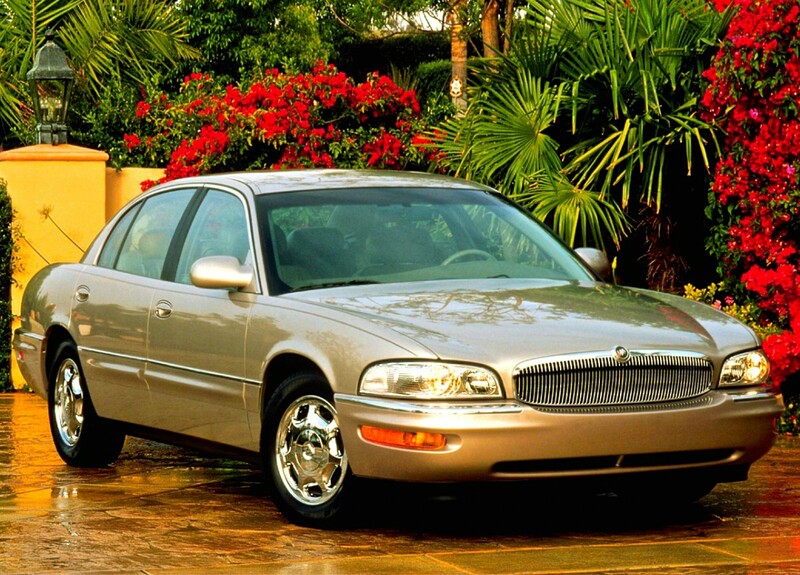 While I don’t think it is a “beautiful” car, the LeSabre is quite frumpy and I wouldn’t buy one for that reason only. I have rented a LeSabre back in the day and it had enough room for six adults and their luggage. My PA is comfortable, easy to drive and very reliable. The plastic dash does some rattling, but I’ve never driven a Buick that didn’t. It’s not an Ultra, has 106,500 miles and I hope it lasts along time. I am 60 and average about 5,000 miles per year. “Parsimonious plastic palace” – Love it! The phrase that is, the car not so much. I see plenty of these still on the road though so they must be durable at least. That and they’re usually well maintained, low mileage and cheap. Would be fun with the supercharged 3800. The woman you’re looking for is Suzanne Somers. Not Susan Sommers. That picture of the Cadillac in the article says everything you need to know about Cadillac’s decline: uninspired, no presence, generic GM styling, anonymous and upstaged completely by the Park Avenue, Aurora and even LeSabre, the “less prestigious” offerings. Loved the first version of the PA. Saw one on a stand at the LA Auto Show and thought it looked fantastic. The next version seemed less taut, bloated and somehow lost all the impact of the details of the previous model. More is not always better. I had an H-Body of the previous generation (1992 LeSabre) and think it was the ultimate GM car of that era. Had all the GM virtues – tons of interior space, bulletproof powertrain with the 3800 V6/4T65, great HVAC and Cruise Control systems, good blend of performance v. economy. Even its flaws – staid styling (both interior and exterior), floaty handling – weren’t really ‘flaws’ considering its market. I highly recommend these to people looking for good value in a used car – they’re very reliable and whatever breaks is usually cheap to fix. That said, moving to the G-Body Platform was the answer to a question no one seemed to be asking. H-Body LeSabre is good, but it has few shortcomings. It is slow not all for the engine, but for the chassis, as the body integrity is not great enough to handle the car at higher speed ( 70mph+ ) and the car feels as if it has a separated frame from the bodyshell. Even though G-Body version is still very soft, the car feels much more like one piece. And cruise control on my ’95 LeSabre doesn’t keep the constant speed, it sometimes goes up and down few rpms. 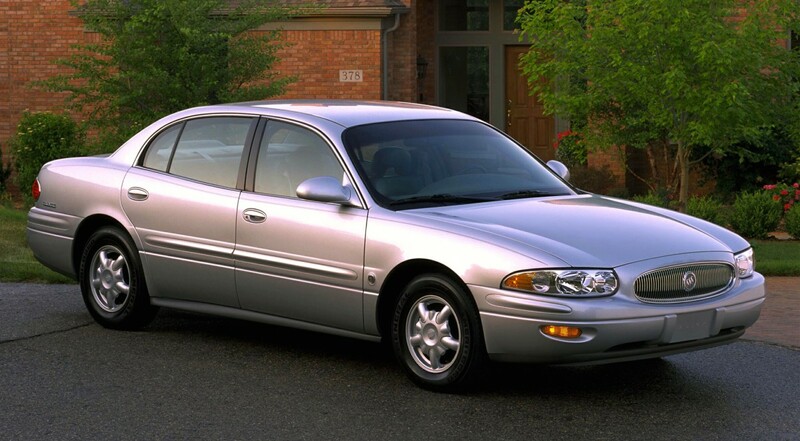 As somebody that had a 2005 Lesabre and currently has a 1997 Lesabre, I respectfully disagree that the 2000-2005 Lesabre is put together better then the 92-99 Lesabre. I personally think the 2000-2005 Lesabre and the 97-05 Park Ave is a step back in the quality department. It looks like they tried to cut costs and reduced the build quality. One only has to look at the car doors to find how cheapened this car was. The 97-05 PA and 2000-2005 Lesabre had plastic door handles and the doors felt cheap when you shut the door. The quality is cut back on G-Body LeSabre compared to H-Body indeed, but H-Body’s chassis is quite dated already by late ’90s. G-Body was a rather modern design while H-Body still showed its weakness in structure despite the huge strut bar, I can’t imagine how bad it would handle without it. G-Body has a better platform to start with but they didn’t make it premium enough. That door handle is a universal unit. It ends up in G-Body LeSabre/Park Avenue, W-Body Regal/Century/Impala, N-Body Malibu and the door handle looks the same even on ’97 Corvette. 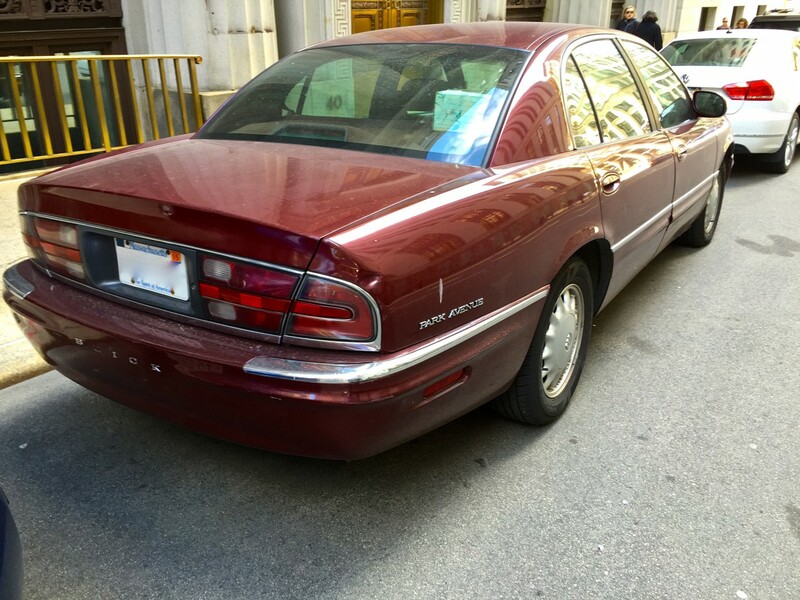 ( Similar sharing occurs between Lincoln Mark VIII and Continental, but for Mark VIII’s huge heavy door and frequent breaks off, they used metal handles later. ) I think that GM door handle is far more universal than most door handles in history. Yeah, I understand that the G-Body was a more rigid chassis but, like I said, it was an answer to a question no one asked. The H-Body was good enough for its intended market segment. In fact, I’d argue that GM’s attempts to sell their cars on such technical points (and, yes, I fully understand the benefits of a rigid structure) – in effect, to out German the Germans – was a large part of them losing their way. People buy GM products because they want big comfortable cars that offer good value for the money. The H-Body Buick represented a high point in that ethos. Maybe it was an answer to a question no one asked, but unless it caused the ride quality to deteriorate, I can’t fathom why a more rigid chassis is a bad thing. “Good enough” doesn’t sell cars either. If attempting to sell cars on the fact that they are good, solid, technically advanced vehicles is “losing their way”, then I don’t really know what to say. Selling “good enough” outdated vehicles through the 80’s and 90’s, that eventually stopped being “good enough” and became “hopelessly outdated” instead, is where I personally think the Way was Lost. Maybe if they hadn’t made the chassis more rigid and better engineered, they could have spent more money on quality interiors? Is that the point? Or they could have sold the car more cheaply? I just don’t see why comfortable, good value for money, and good engineering cannot coexist. I just don’t see why comfortable, good value for money, and good engineering cannot coexist. At no point did I say that they couldn’t. I can’t fathom why a more rigid chassis is a bad thing. And I came right out and said I understood the benefits of it. Again, I’m not debating the technical benefits of a more rigid chassis. I’m simply saying that, given the market segment Buick branded large cars naturally sold into, the H-Body was an all around better match than either the G-Body replacement or the later Lucerne. And I’d argue that the sales numbers bear this out – as the cars got technically ‘better’ they also got more expensive and thus less attractive to their core buyers – the average Buick buyer was more interested in a comfortable but affordable car and not the technical benefits of the chassis of the vehicle (Something that would be expected of, say, a BMW buyer). But I say that only to express my own opinion – obviously, you’re free to think differently. GM of this era could get close to a great car, but seemed to always just miss the Mark of Excellence. 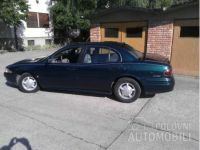 I really liked the looks of this Buick, and it is a roomy, spacious car with a serious amount of trunk space and decent motivation under the hood. It was the FWD Buick that best channneled the old RWD models. And, the Buick, Olds and Cadillac of this era were well differentiated – no accusations of look alike cars here. But, that interior even looks cheap in the brochure photos. Admittedly, part of the problem is that this was the era of montone interiors – which I never liked. The dash pictured here is way too close to what is in my 2002 Dodge Durango SUV – lots of hard looking monotone grey plastic. I’m struggling to think of one truly nice interior from the late 90s/early noughties era at GM. And it’s quite disheartening that they couldn’t even get them to look nice for press photos! I remember reading my 2001 edition of Road Report years ago and thinking how tacky the inside of the LeSabre, Impala et all looked. And then there were the Pontiacs… The Grand Prix interior had a nice design and good-looking seats, but it LOOKED cheap in a photograph. And these interiors stuck around until the mid-2000s. So nice that GM turned things around and now have some of the best interiors in the biz. 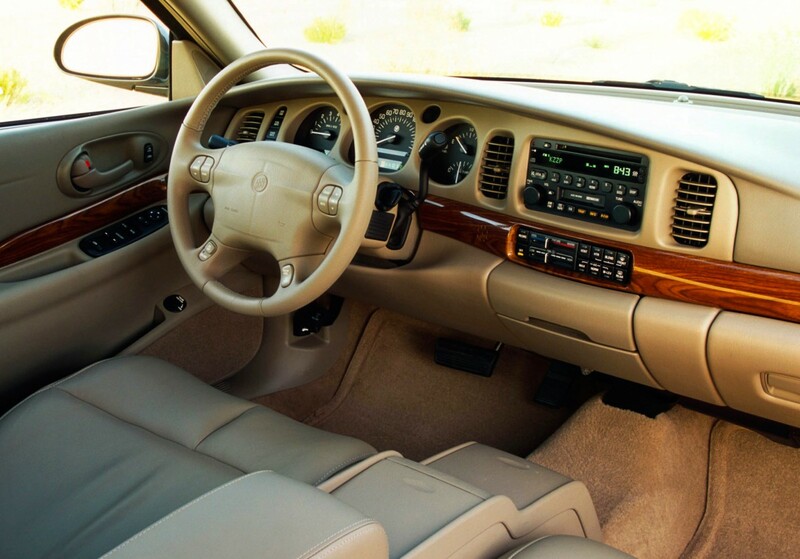 The 1995 Aurora was probably one of GM’s last half-decent interiors until around 2009 or so. Of course, given that it was introduced in 1994, that’s probably earlier than what you meant. You’re right though, I can’t think of any GM interior from the mid-nineties until recent that wasn’t the same cheap plastic. 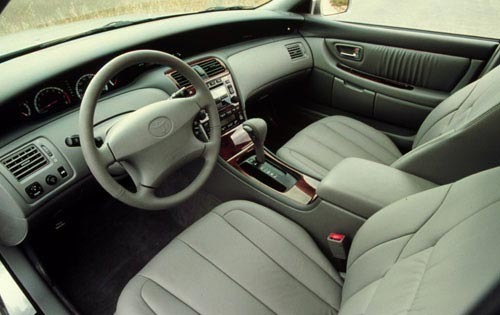 There seem to be three different eras of GM interior design between the mid-90s and the late-00s. There’s the big button era, as seen in the Park Avenue and LeSabre, with absolutely horrid fake wood, big and cheap buttons and shiny plastics. An outlier in this period would be the Aurora which, although it used large buttons, had a much cleaner and more premium interior design. There’s the transition era, which marked the use of the GM “black-tie” radio and overall a cleaner look. This is typified by the ’06 Lucerne and Impala. Outliers include the ’05 LaCrosse, which bizarrely went to its own, nastier switchgear and just an odd interior design, as well as the Cadillacs which went off on their own track. Some style started to creep in towards the end of this, such as with the ’09 Malibu which still used the standard GM switchgear but added ambient lighting and a unique design. Then there’s the new GM era, with cars like the current LaCrosse being a good example. Extremely nice interiors with unique designs and high-quality materials. Some interiors on certain models really look impressive in pictures but I don’t see the real ones coming in that way too often. As the current owner of a 2001 Lesabre Custom, I’ll concur with the assessment that there really isn’t much difference between the Lesabre and Park Avenue. I owned a 1988 Electra T-Type sedan for 16 years before buying the Lesabre, and overall, I liked the 1988 better despite its bad paint, undersized brakes, and rattly interior. It had 221K miles on the original powertrain when I sold it in 2009 and I saw somebody driving it in 2014 while on a lunchtime walk. Best car that I have ever had overall (from somebody who has also owned 8 Hondas). Also – all of the dash lights are SOLDERED IN to their respective assemblies, and the official way to repair them is to send in the instrument cluster/radio/HVAC control head for a rebuild, or buy new parts for smaller items such as steering wheel control switches, headlight switch, power window switches, and the multifunction display switch. I’ve replaced all of the bulbs in the dash of mine, but I have a lot of experience in electronic assembly work. My mother-in-law is driving the Lesabre now and I’ll probably end up giving her the car. Another thing to watch out for: MY2000+ cars have a multiplex control system that uses VIN-encoded modules. Every major electronic component in the car has the VIN burned into memory, and any module with a non-matching VIN will not function in the vehicle. So junkyard-swapping of these modules straight out doesn’t work. You have to buy a new module and go to the GM dealer where they use their Tech 2000 Scantool to program the VIN into the new module. I had a funky dash light issue with my 96 Regal. We called them disco lights. You had to beat the dash to get them to stop blinking. Then that only made the one panel stick up more. I never trucked with having them worked on – and now I’m glad I didn’t! My parents owned a 1999 Park Avenue. It was a great highway cruiser with very comfortable seats, particularly in the front. It also managed to achieve excellent fuel economy, considering its size. I liked the styling of these cars. These cars had real presence. Unfortunately, they were let down by cheap exterior and interior materials, and indifferent assembly quality. My parents’ Park Avenue was reliable for the first 110,000 miles, but after that it was one major repair after another, until they traded it with about 140,000 miles on the odometer. I really was wowed by the 91 Park Ave when it first came out, a really attractive car that seemed quite modern for its segment. I never liked the looks of this one quite as much, but would still consider one as an older used car. Like some others here, these have become more attractive to me as time has moved on. The only thing that has dampened my enthusiasm is my recent time driving my mother’s 06 Lacrosse – still, I like to think that I would not outright despise one of these PAs, as I do the Lacrosse. Perhaps you will read about that soon. What’s worst about it? The droopy styling, which would look much better on something that didn’t have awkward FWD proportions? The vertical dash with fiddly buttons? The flat seats? Old-tech transmission? Those LaCrosses just leave me cold, even though I like the V8 Lucerne. A LaX Super is a little better but that interior just still looks naff. Oh and their transmissions are apparently terrible. These end of the line Park Avenues do look nice and even though they are supposed to be luxury vehicles the dashboard looks quite similar to a mid-1990s Caprice. If there is a mid-1990s Camry, Avalon, and Lexus in the junkyard next time I visit I will do a comparison of their interiors. These end of the line Park Avenues handle rough roads alright, have decent towing capacity, and sound cool with a rotted out exhaust system. Their trunks get easily bashed in or bent out of shape during Demolition Derbies though which can lead to punctured tires. If these Park Avenues have plastic body panels like the LeSabre then those also make the car vulnerable during Demolition Derbies. My wife’s uncle had one new and loved it so much that when it got wrecked a few years ago he didn’t know what to buy. He bought a new loaded accord, then sold it after a couple months. Just wasn’t a suitable replacement for his tastes. So he found a cream puff used 2005 and plans to drive it as long as he can. Personally, I prefer these infinitely over any of the new Buicks. These were real traditional sedans designed for the American market, not for China like the current models are. I haven’t been inside one of these, so can’t comment on material quality, but I do prefer the looks of the 97+ interior. 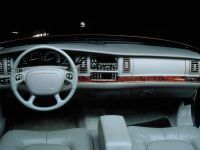 Not coincidently it reminds me of the 91-96 Olds interior, which I like a lot more than the Buick version in those years. Buick Electra received the composition headlamps for the model year 1987. Secondly, the integrated seat belts on General Motors products (they are also offered in the full-size pick-up trucks and SUVs) do not offer the height-adjustable shoulder anchor point. I drove one and found it increasingly uncomfortable with the seat belt pressing down on my shoulder. Thanks, I should have known that halogen headlights came in ’87, not ’88. What I get for trusting google images. And that’s what I thought about those seat belts (which I didn’t say either way in the article, only others who have commented). I imagine taller people were very uncomfortable. They were adjustable in the Park Avenue and other “luxury” models, lower-end trucks? I can’t say. Maybe you just didn’t find the adjustment – in the Buicks you simply had to push up on the same button that reclined the seat and the shoulder point would extend upwards. I really liked those seatbealts – I can’t imagine they built any vehicles equipped with fixed shoulder points, but I’m not sure about the trucks. I must say it again. The 2014 Chevy Cruze I drove last fall…and my wife’s 2011 Equinox…felt more sold and planted to the road than ANYTHING depicted above. When I co-owned an advertising agency ten years ago, the Cadillac DTS was our rental of choice when traveling out of town. Whether 45 or 115 MPH, the cars just had a cheap feeling in the front end…a feeling that GM has finally eliminated in their current cars. But ten years ago, that was the dealbreaker. They rode nice, had decent appointments and have been shown to be reliable, but to a car – whether Olds, Buick or Cadillac…mid or full-size…they just felt CHEAP to drive. turning radius was insane. Really like a boat. I always liked this era of Park Avenue. Yes, probably a better used car than a new car because of the cheaper looking interior but, oh well. Looks wise, I always liked the direct back view especially if they had pin stripes. By the time I got interested in larger sedans, these were too old to be in the running. I wanted a Lucerne, but they quit making them and even they ended up being too old for what I wanted. The current era Lacrosse looks ok, but just doesn’t do it for me overall. The wife’s ’96 Park Avenue got hit TWICE within six weeks, both of the other drivers being cited. The first was just a wide, shallow scrape of the left rear quarter; but the second was a fairly-hard ‘hit’ on the right rear. It could at least be “theoretically” be repaired. What’s frustrating is that it would have lasted another 2 or 3 years. What’s surprising is not being able to find someone who wants the 16″ rims with good radials. Her ‘new’ 2011 Lacrosse [No, I don’t like it.] has 18″ chrome rims, with tires wide enough for a Corvette. Go figure.